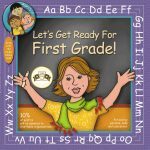 Home / Cedar Valley Publishing / Let’s Get Ready for Let’s Get Ready for First Grade! 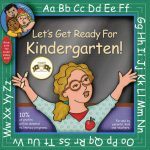 The series continues with Let’s Get Ready For First Grade! from Cedar Valley Publishing. Follow along with Ms. Best and six new Cedar Valley Kids and Yodie the Coyote who makes learning vowels and consonants, vowel sounds, compound words, contractions, the solar system, counting money, measuring, fractions, adding and subtracting and more exciting for everyone! Children learn simply by reading this Award Winning book! Schools purchase in bulk to help in First Grade testing and First Grade readiness. Don’t be left behind, get ahead with this helpful resource. If you are ordering for a school, please contact us for pricing.